Donny left the group he formed with his brothers and began a solo career. In 1971, at age 13, he scored his first #1 hit song, “Go Away Little,” then followed by the Paul Anka classic, “Puppy Love.” During this time, he became a teen idol and was seen on countless teen magazine covers. In 1976, Donny and his sister, Marie, starred in their own ABC-TV variety show called Donny & Marie. The show was on ABC for three seasons and got the chance to work with many notable guest stars. Donny and Marie went on to record seven albums as a singing duo. Since 2008, Donny and Marie have been performing a 90-minute show at the Flamingo Hotel. Fans get to see them perform several songs together, as well as see them perform solo…all backed up by several dancers and a nine-piece band. 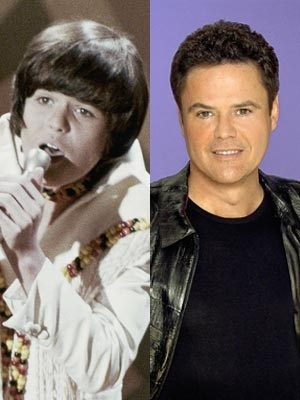 In Fall 2009, Osmond appeared as a contestant on ABC-TV’s Dancing With the Stars to prove that he was a better dancer than his sister (Marie appeared on the show in the Fall of 2007 and came in third place). He won first place. This entry was tagged birthday, Donny Osmond. Bookmark the permalink.